Police departments the world over depend upon our armored law enforcement vehicles. Law enforcement vehicles come ready to perform when you find them at swat-vehicles.com. Here you’ll find an amazing selection of law enforcement trucks, law enforcement vans and law enforcement cars that include SWAT vehicles, rapid deployment vehicles and armored tactical transport vehicles, to name a few. Tactical units know they can depend on our custom SWAT cars, SWAT trucks, and SWAT vans to provide the ultimate in safety and durability. State-of-the-art design and engineering technology goes into every one of our builds, preparing them for high-pressure tactical missions of the kind law enforcement faces somewhere every day. Law enforcement is a high stakes profession, and the safety of brave law enforcement officers is often in the hands of the makers of their tactical vehicles. At swat-vehicles.com we are always up to the challenge. If one phrase could sum up our law enforcement vehicles it would be “in demand.” I you’re in the market for SWAT vehicles including SWAT trucks and SWAT vans, you’ve come to the right place. For tactical and transport reasons you need law enforcement cars, law enforcement trucks and law enforcement vans that can rise to the occasion. The design and technology inherent in all our vehicles means our armored vehicles will always do just that. 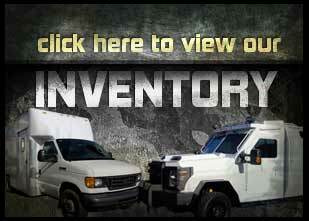 We provide law enforcement vehicles for police and tactical units across the country and the globe. For custom law enforcement cars, law enforcement trucks and law enforcement vans we suggest consulting with the industry leaders at swat-vehicles.com.